Last night Jayden and I went to a special story time at our local library. 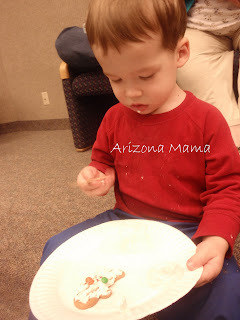 We attend the ABC read with me story time every Tuesday night. This was a special Gingerbread Story time on Thursday night. The librarian read, The Gingerbread Man story. 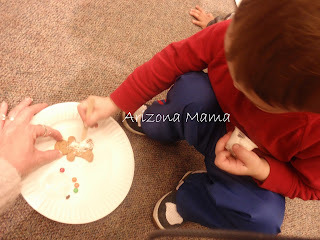 All the Children were given a Gingerbread Cookie to decorate. Then we watched the movie of The Gingerbread Man. Jayden was so excited to participate. The story was a little long for him, but he sat still until the last 2 pages. He was super excited when he got his cookie. 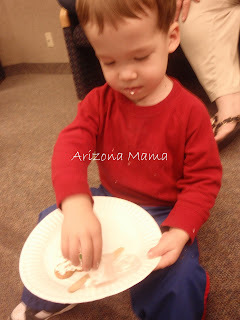 He was given a cookie, some mini M & M's, a Popsicles stick, and a small cup of whipped topping. He used the stick to spread all the whipped topping on.. and I do mean ALL! He then put the M&M's on the cookie. But instead of eating the cookie right away he picked off the M&M's and ate them first. He carried the cookie out to the car and ate it on the way home. He had a great time and I did too. I love the great events the library has and they are free. 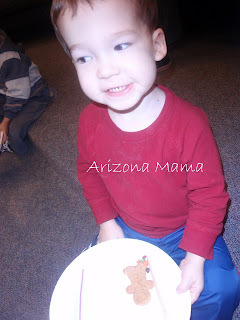 I know our library has another Gingerbread story time scheduled for Saturday afternoon. Next week we are excited that there will be a special visitor in a red suit! That sounds like so much fun! 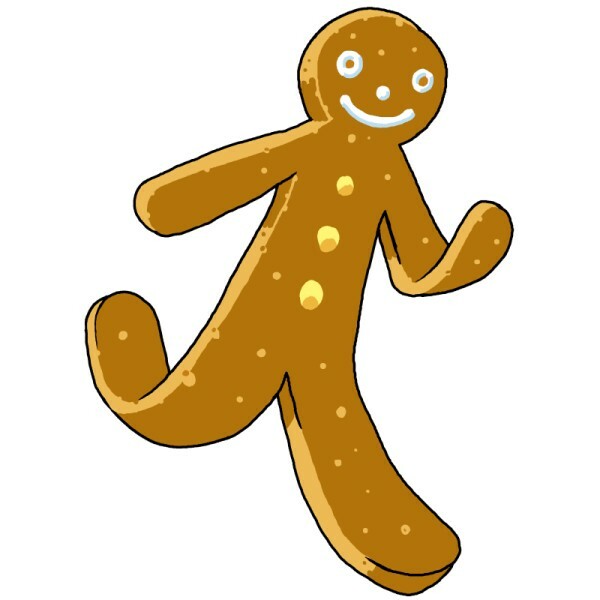 I have a great Gingerbread craft that would be fun for you on my blog, The Sweet Spot...www.tammyssweetspot.blogspot.com...Happy Holidays!